The Components floor-mount bath filler operates differently from other floor-mount bath fillers. Turn the upper handle to control the flow of cold water through the faucet. Turn the lower handle to control the flow of hot water through the faucet. 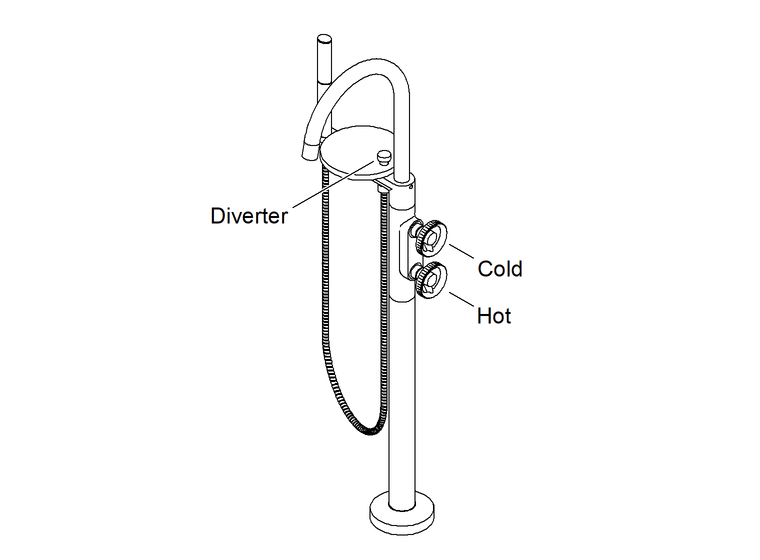 With the faucet turned ON, pull out the diverter to send water through the handshower. Turn the hot and the cold water OFF to stop water flow through the handshower and reset the diverter.